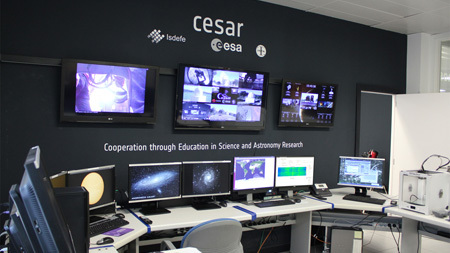 Firsts advances on the new ESAC CubeSat ground station were presented which allows the operation with any of the 560 orbiting nanosatellites “CubeSat” up to date. 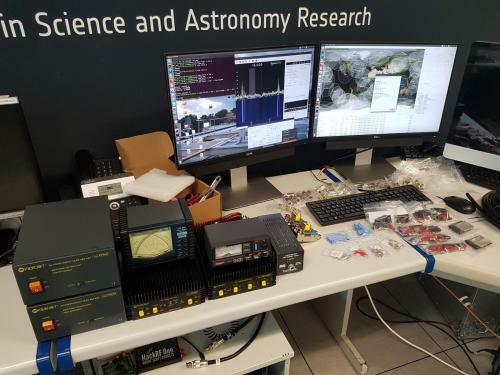 Developed by trainee students on ESAC, the base station totally operative in reception up to date is designed to operate with any modulation, frequency or data rate used by any type of wanted satellite. 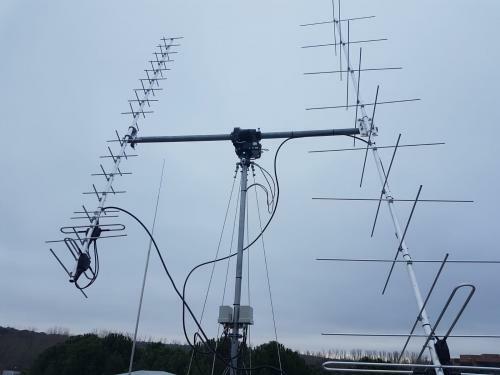 This flexibility is given by the choose of Software Defined Radio (SDR) which allows a rapid change of all kind of radio parameters and modulator structures via software. The station will allow surveillance and control of any future and already launched CubeSat. During the presentation, several examples of reception were shown such as the visualization of a Satellite signal Doppler Effect, demodulation of data packets from AAUSAT-4, decode of meteorological NOAA images or reception of ham amateur SSB voice retransmitted from several transponder CubeSat of the recently launched “CAMSAT” fleet which allows using a simple VHF walkie-talkie for reception and transmission of voice within a 2500km radius around the point where the satellite is passing. Being fully operational and autonomous by 2018-2019, the ground station will not only be used for satellite operation but also for educational purposes and scientific research.